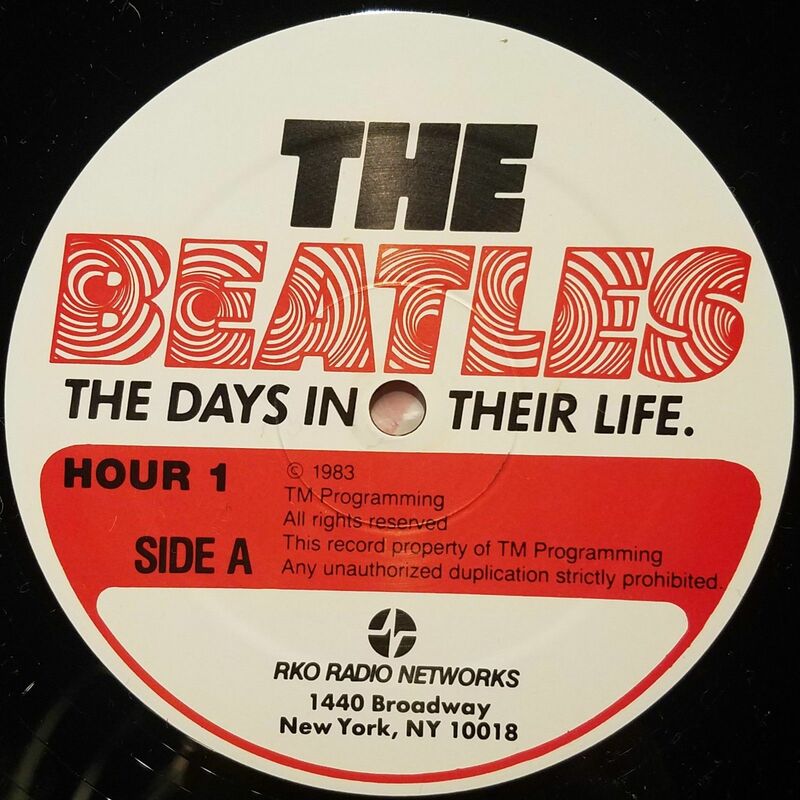 30 LPs and Cue sheets for a Beatles radio show called "The Days In Their Life". The records were distributed by RKO Radio Networks, and the copyright is dated 1983. Includes all 30 LPs and cue sheets! Discs all look excellent with great gloss and only occasionally noticeable light signs of wear. Discs are stored in generic paper sleeves with plastic lining. Sleeves look excellent with no stains or splits, though the corners are lightly creases. The first cue sheet has light creasing on the corners, but the rest of the sheets are much flatter with a small crease in the bottom right corner. Everything is stored in a generic "Music Life" brand 12" LP box.